As the name implies, the Montecristo Dark No. 444 is a box-pressed beauty from the world’s most famous cigar brand. A dark and very oily Connecticut wrapper covers select Dominican filler leaf resulting in a tasty smoke with notes of sweet coffee, cedar, and intricate spices. The dark No.444 is sold in handy 5-packs. Draw opened up after 5 minutes. Bold, rich flavor void of any peppery or spicy notes. Retro is smooth & creamy. Wonderful little Dominican stick when pressed for time. It has a good flavor on the mild side. But the draw was not good. Out of a 10 pack there were 3 that I didn't have to turn myself blue to get through the cigar. The 3 that had a great draw were great. 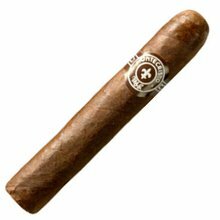 If you know what a Montecristo is like, this is that, but for about half an hour. If you don't, you're missing out. Buy these. Great little cigar, all long filler and so tasty. Take your time smoking it. I thought this Monte Cristo was alright it didn't have a lot of flavor was a little dry but im hoping after the other sit in the humidor for a bit they'll loosen up as for the flavor there wasn't much but still good size for a quick smoke. It was inconsistent, harsh and sour. I was very disappointed. Also the draw was touch on two out of five. Very enjoyable. Not overwhelming. Milder than expected. Another awesome product from Monte!! Didn't expect too much from a 444 in the first place. After lying down in my humidor for almost one month, it delivers such an aroma that really surprised me. Now the only drawback is that the length is a bit too short to enjoy this decent stick. 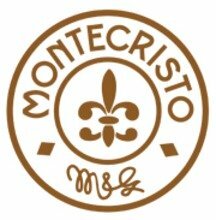 The name Montecristo says it all. 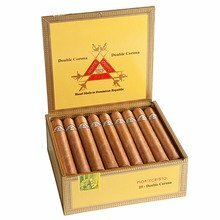 Smooth medium bodied cigar that is just the right size when you don't have hours for a smoke. Great short smoke! Occassionally the flavor is way stronger than normal. Well constructed, good draw, even burn. Some have more pepper than others, but it's a short smoke so you won't be dissatisfied for long. This is a quality cigar. 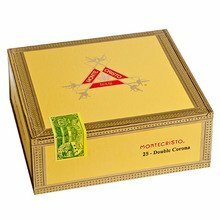 Not your high-end montecristo, but definitely has that high quality flavor that's expected from the brand. Very tasty, if your not pressed for time you will have wished for a slightly longer lasting smoke. Enjoyed them very much. Good cigar; occasionally get one with a hard draw. Will continue to buy. This is a true go to! Great afternoon smoke and/or during prepping dinner. Wonderful smoke. Nice size, smooth and short smoke. Would purchase again. Purchase to give as gifts and it went over really well.